I just came from the sprawling greenery of the Pacific Northwest and the hilly deserts of Southern California…Chiang Mai is cramped. I’ve been having feelings of claustrophobia lately, and needed healthy doses of green and silence. 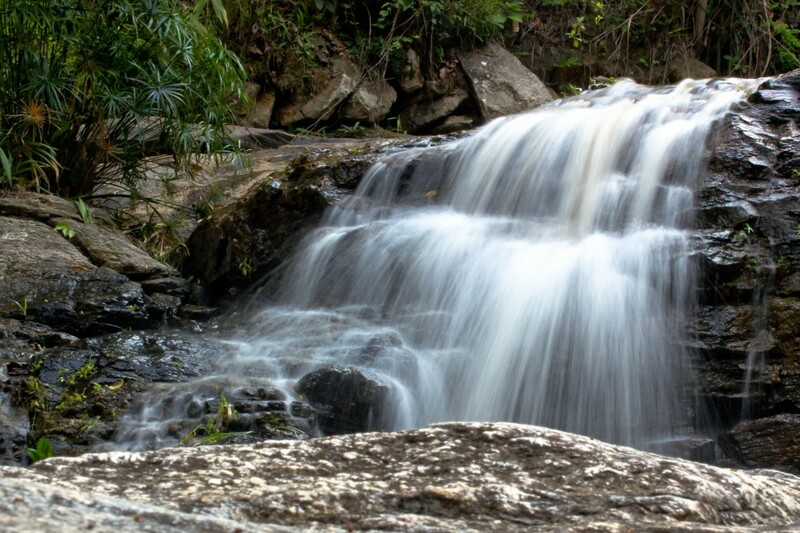 My friend Michelle told me about a little Wat up in the woods above Chiang Mai, partway up the hiking trail to Doi Suteph. A little trek outside sounds perfect. 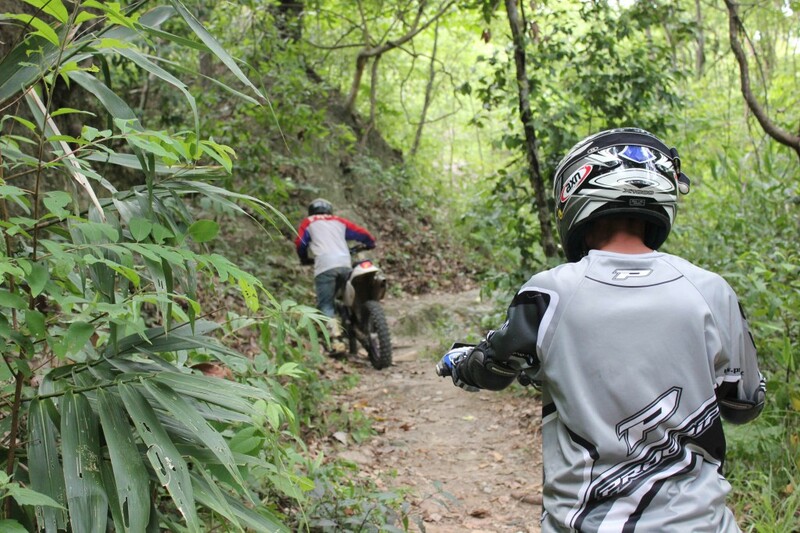 I step off my motorbike and onto the trail. Five steps. Its so quiet out here. Ten steps. Lush and green, just what I needed. Fifteen steps. “Rawang!” Five men on dirt bikes whiz past me. So much for a quiet escape from the noise of the city. They make it about 30 feet ahead of me before they get stopped by some logs. I walk past the men struggling to lift their 300 pound bikes up the hill, and head deeper into the forest and higher up the hill. I walk for about two minutes before I’m completely drenched in my own sweat. Why does the humidity keep surprising me? 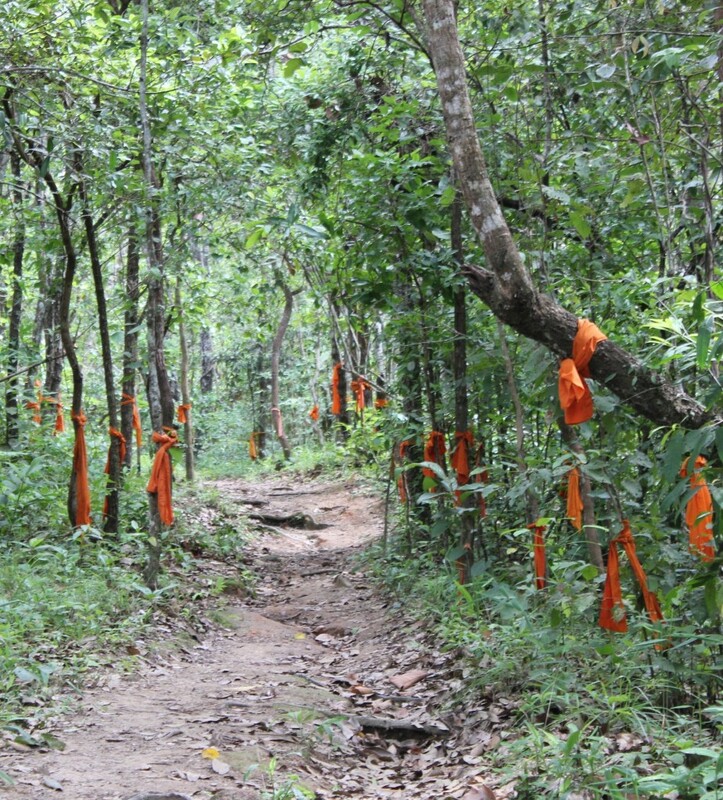 As I hiked higher up the mountain, I started to see saffron fabric tied around trees. It started with just a few, but soon I couldn’t look in any direction without seeing saffron. I was later told that these trees were blessed, and the saffron would keep them from being cut down. Being surrounded by saffron draped trees made me feel as though some other-worldly presence was surrounding me as I hiked higher. That presence soon materialized when the dirt bikers tore past me, but they were again stopped. This time by a section of steep rocks. I had a big grin on my face as I strolled past their mountain-conquering machines for the second time. This game of leap frog went for about two more rounds before I reached the wat, leaving them behind to overcome a small log crossing over a tiny stream. My sandals handled all of these obstacles juuuuust fine. I’m glad I beat them to it so I could wander around the beautiful setting without the whirring of motors. 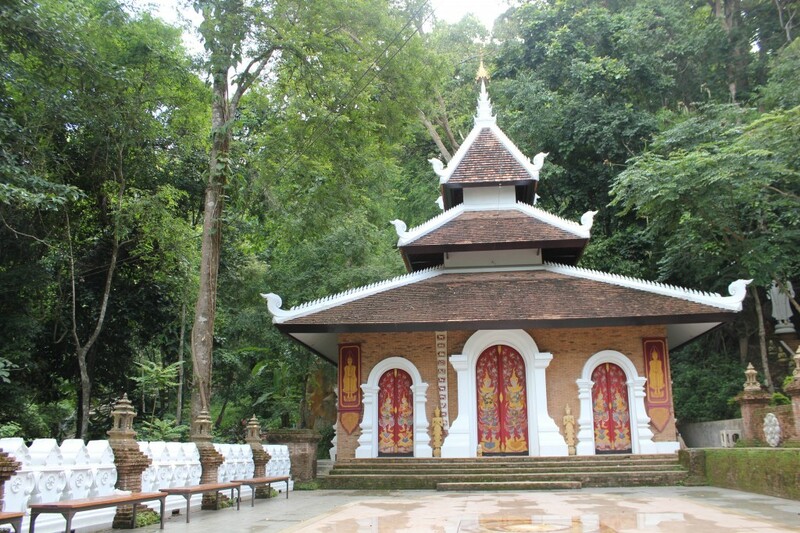 The wat is perched atop a section of rocks and a waterfall. 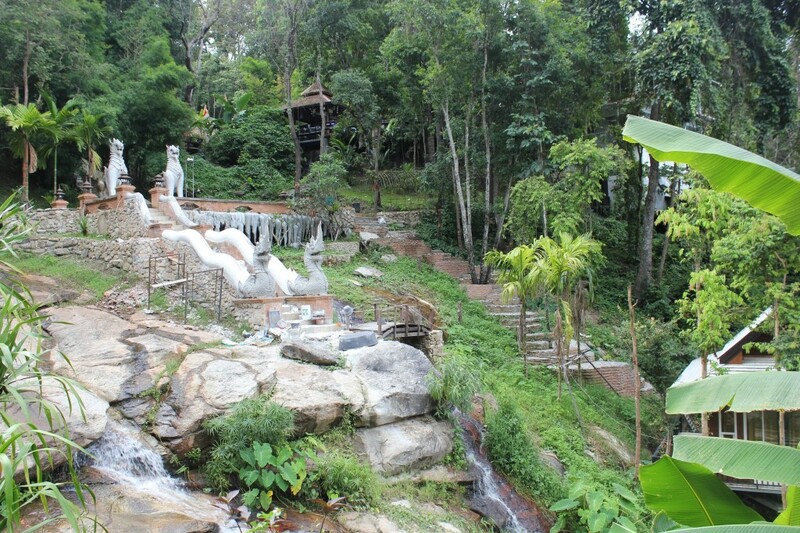 Its definitely one of the most picturesque places in Chiang Mai. There are images of the Buddha everywhere. In the cliffs on the other side of the stream are stone monks forever meditating in a small cave. There are sections of ancient temple still standing, along with a more recently constructed wat. I sat next to a few monks who were praying inside the wat. I was praying that my torrent of sweat would stop in the near future. 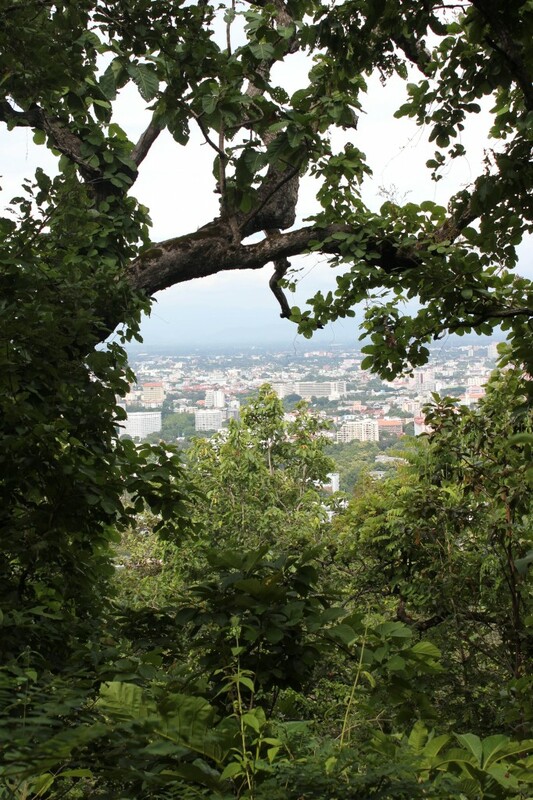 It was just me, one Thai family praying, the monks, a waterfall, green forest, and a sweeping view of Chiang Mai far below me. A much needed separation from city life. That is, until I wandered around a corner to find a newer-looking glass building. And next to the glass building: a road leading up from the city to a parking lot behind the wat, which was filled with Mercedes and motorcycles. All that is missing is an escalator up to the wat. My assumption that the only way to reach the temple was by walking up a forest path: paved over. Inside the glass building was a meditation workshop with many farang and a few Thai. Oh well, I shouldn’t have come with so many expectations…it still is a very serene place. I made my way over to a prayer platform, raised up in the trees above the path. The tinkling of prayer bells and the view were the only things on my mind, but the dirt bikers quickly changed that. As they rumbled up the path, several monks poured out of the wat. The two groups met on the path in front of me and argued in Thai for a little bit. The bikers were eventually sent back down the hill. I’m not sure why they thought they would be able to ride up and do donuts around the Buddha, but they seemed pretty disappointed. As they left, one monk came and sat down next to me. So far, I had been trying really hard to ignore the several mars made to the picture I had painted in my mind of a peaceful Buddhist mountain temple, but this was too much. All I could do was laugh. I really did come into this hike with too many expectations. Suddenly I felt much more ridiculous than the monk with the tattoo of Pikachu holding a Jaeggermeister bottle, who sat next to me and enjoyed same view.